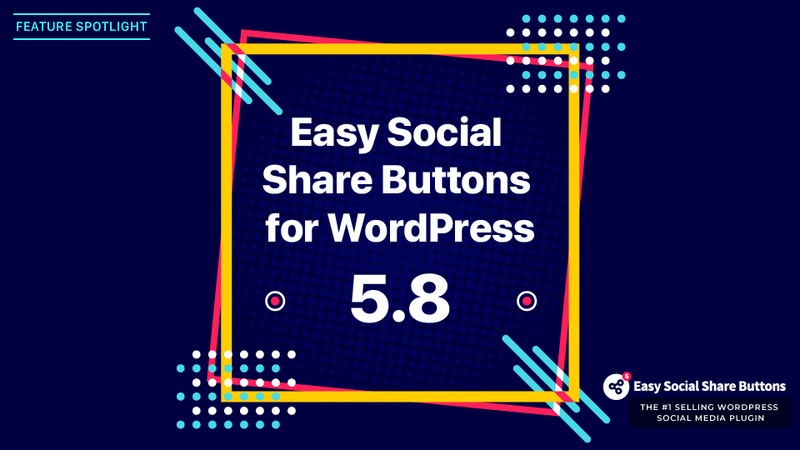 Easy Social Share Buttons for WordPress 5.8 has just been released. The feature comes with shiny new features. In case you have missed here is what is new in the version 5.8 and past few versions. 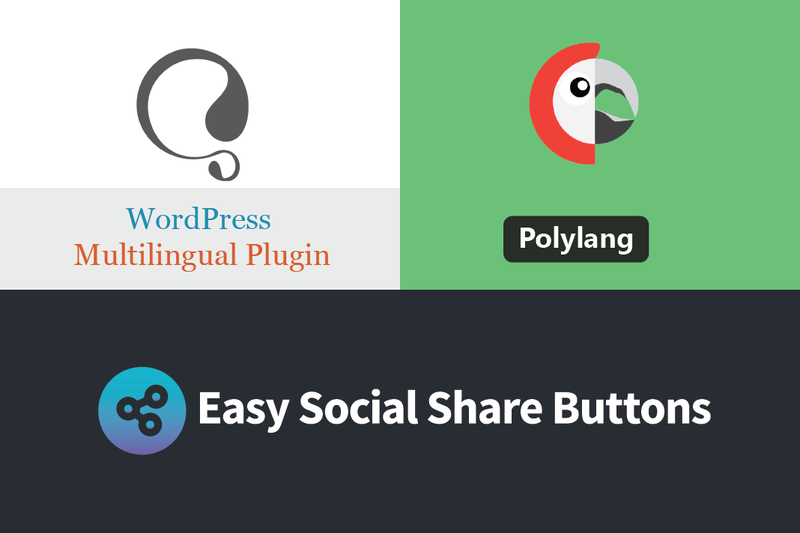 In Easy Social Share Buttons for WordPress you have support for 50+ different social networks. The new additions to the list of support networks includes Mix, Fintel and Instapaper. In case you have missed StumbleUpon officially close at June 30th, 2018 – they are moving in with Mix. 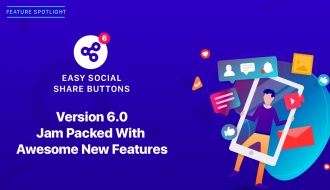 We are excited to announce that all versions since 5.6 support Mix.com as social sharing network. 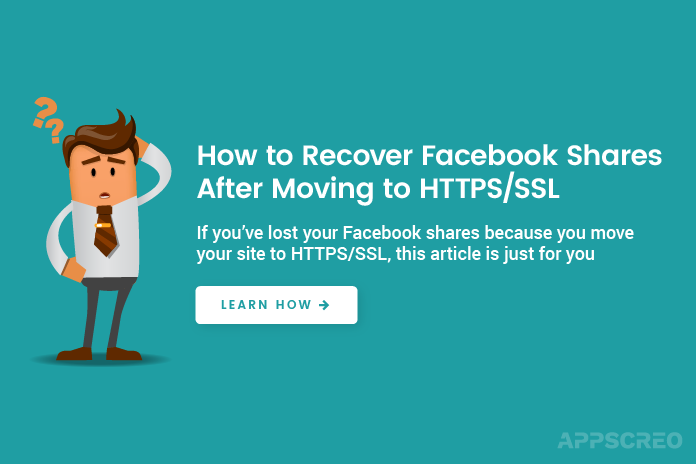 For now Mix.com does not have a share counter API – the button will use internal share counter (previous Stumble values cannot be moved). We update the plugin interface to make easy for customers find the proper knowledge base article. The helpful hints will lead to setup settings, useful tutorials or even a quick troubleshooter. We are happy to announce that now you can remove the unused networks from plugin. 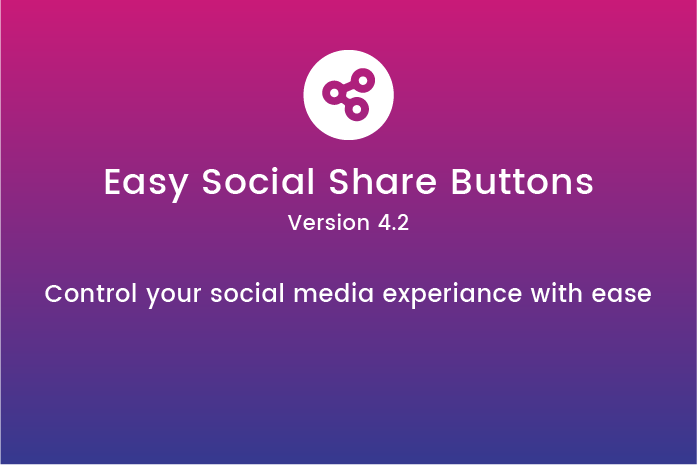 We are aware that not all users needs all the supported by plugin social share buttons. Now you can visit the Manage Plugin Features and select only the networks you will use. The control of active networks works with any of the default build inside plugin buttons and also it is working to all custom added buttons. There are lot of benefits to manage the active networks. 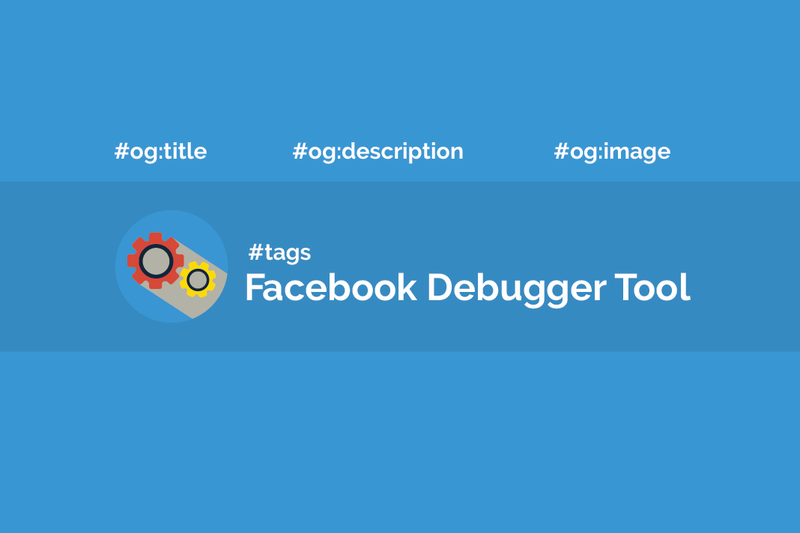 With the remove of unused buttons you can easy manage the buttons and you can optimized the work of the plugin. 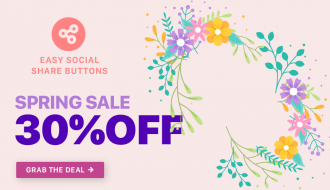 Purchase of Easy Social Share Buttons for WordPress is $20 one time payment without monthly or yearly fees including lifetime plugin updates. 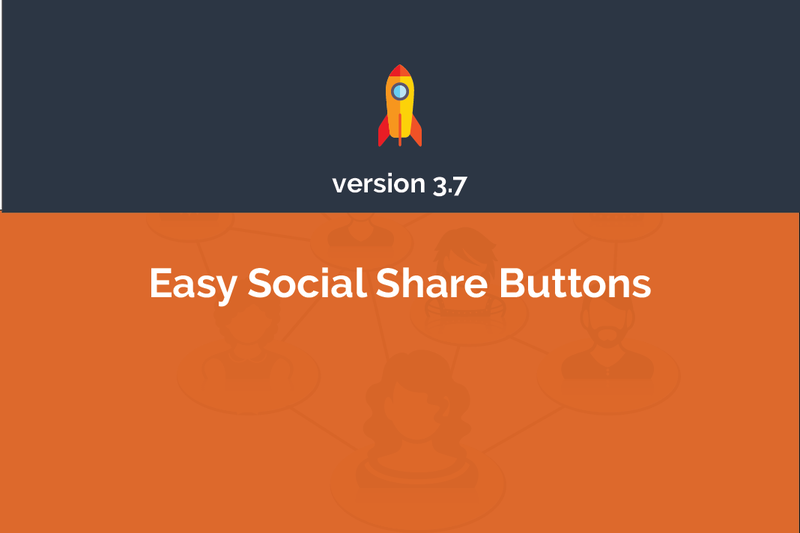 In Easy Social Share Buttons for WordPress you have a detailed click over button analytics. 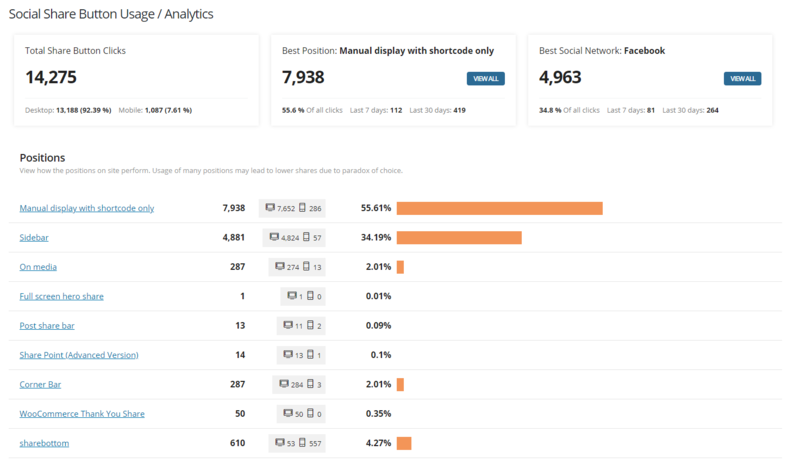 The analytics can help optimized the used networks and used available display methods on your site. 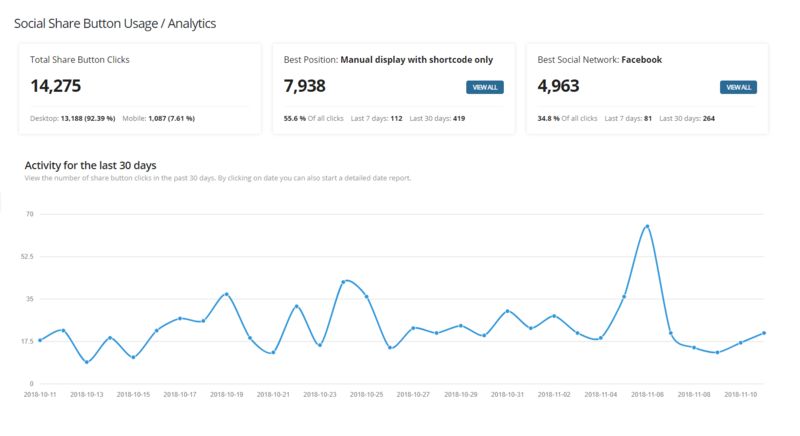 We are happy to introduce the new user-friendly analytics dashboard where all the information you need is on a one click. 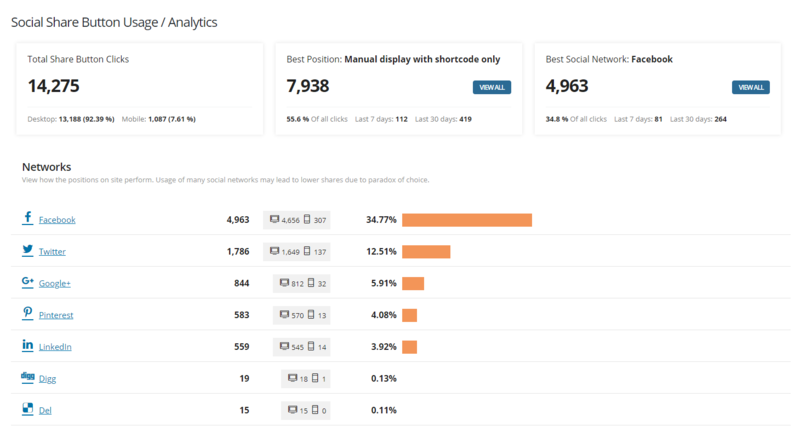 If you are not using the Analytics on your site than just go to Social Sharing -> Analytics and activate it. 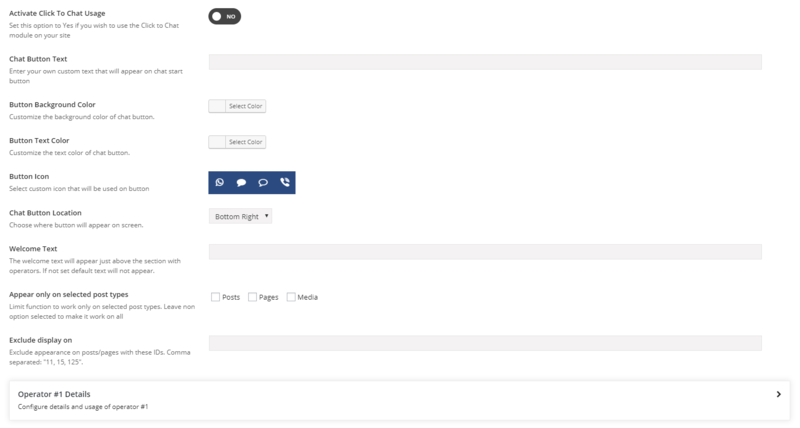 The new size control option can be used to change the look of any of existing or added themes. 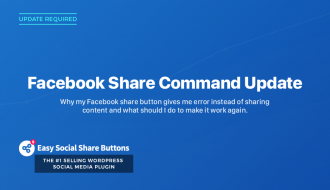 Size control is available anywhere inside plugin where you can change share button styles. 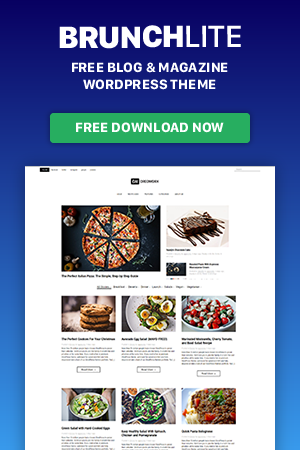 You have access to 6 different sizes (use Default to apply the sizes that are added by selected theme). You can use size control also in any shortcode added by using the parameter size with possible values xs,s,m,l,xl,xxl. 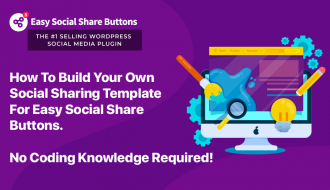 With latest version of Easy Social Share Buttons for WordPress the subscribe forms now support also Mad Mimi & ConvertKit. To activate the new providers you can visit the Subscribe Forms menu. In case you miss the subscribe forms support also a subscribe confirmation field. The field can be activated in Subscribe Forms -> Mailing List Platforms. 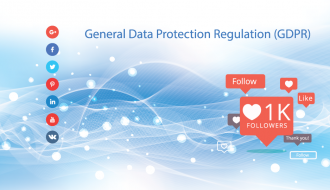 The fields also can forward to selected mailing list platforms. We know how important is to communicate with your visitors or customers. 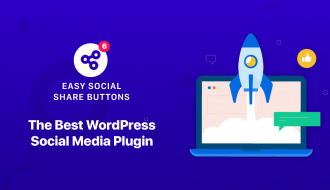 As Easy Social Share Buttons for WordPress is all-in-one WordPress social media plugin the chat via social channels is also a function that we support. The live chat function can easy be activated from Social Follow & Chat -> Facebook Messenger Live Chat or Social Follow & Chat -> Skype Live Chat. As Skype is a personal or business communication application where chat function can add with a personal account, Facebook Messenger require to have a page. The live chat function runs via the Page you have. The live chat function is highly recommended for e-commerce or business sites. 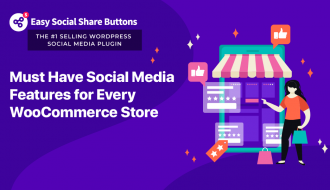 May be more than 95% of business site visitors and almost 100% of e-commerce site visitors uses social media networks. The live chat can provide a new and quick way to contact and communicate with you using the social channels. 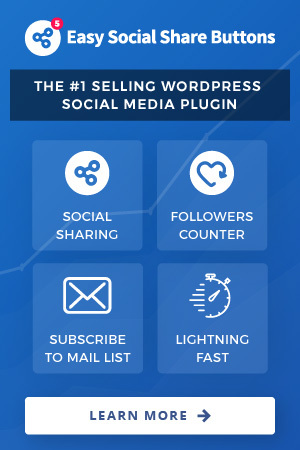 That will increase your social popularity and can be used to increase your profile followers. 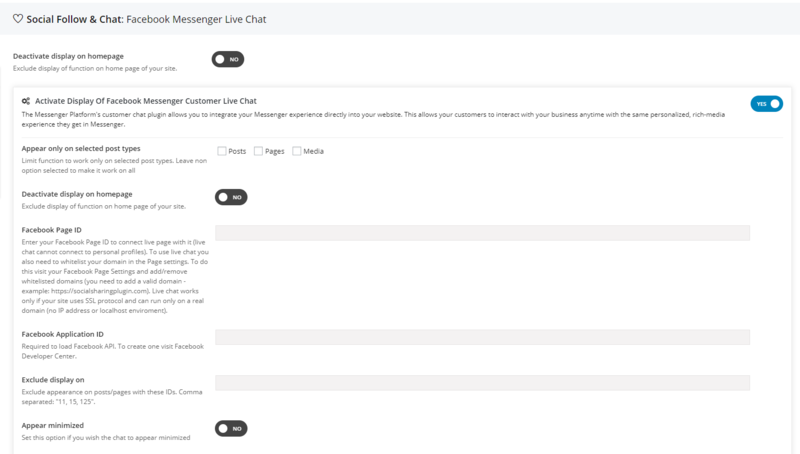 Another method to communicate with your users is the new Click to Chat function of plugin. With the click to chat you can assign up to 5 operators via WhatsApp or Viber that can be used. If user needs your help or needs to contact with you than it is really simple to click the selected operator (and mobile messenger). When the operator is pressed the user will be directed to the selected messenger application. If you wish to try than you can easy activate the function from Social Follow & Chat -> Click To Chat: WhatsApp & Viber. If activated the function can appear automatically on your site at any of the browser corners. You can also add it manually with shortcode anywhere inside content or sidebars. Import of settings from Social Warfare plugin (including past share counts).